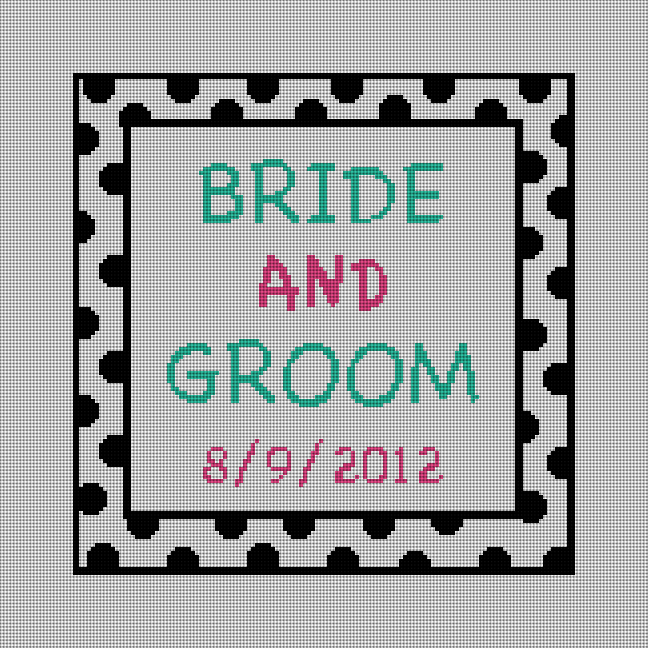 Not every wedding is formal, but all of our ring bearer needlepoint kits were! 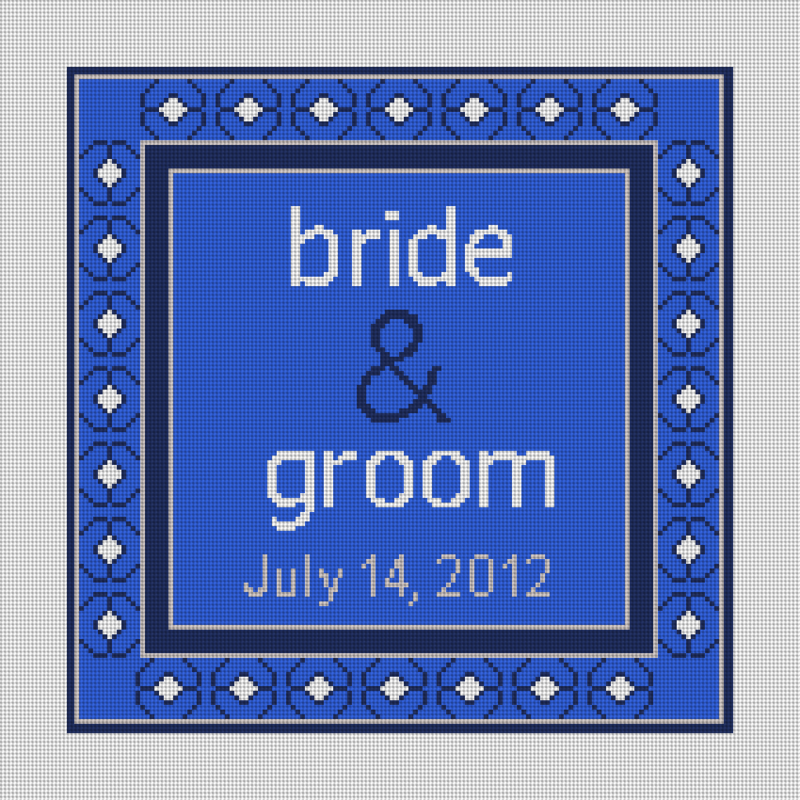 In order to help out with this problem, we have just added a new ring bearer pillow design to NeedlePaint.com. These funky polka dot needlepoint designs are not just great for a fun wedding but could be a great accent pillow in their new home. Or, if you want to design your own needlepoint pillows, we can change the words to something of your choice, and a size to fit your home. A non traditional design for a ring bearer pillow, B and G are "Bride" and "Groom"
If you prefer, you can add the whole names, or you really can stitch whatever text you want! We’ve added more hand painted needlepoint designs to the website! The Custom Name Creations are each as individual as the person they are designed for. Choose from a wide variety of designs for kids, and customize with favorite animals, objects and colors. Customer input is welcome for color preferences or content. 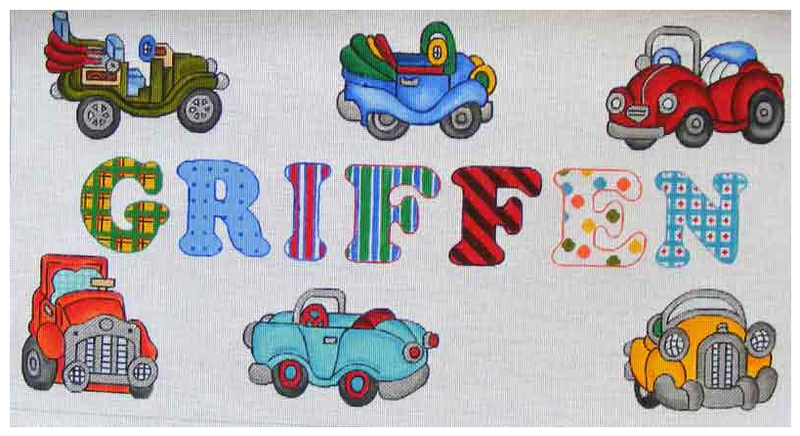 Each personalized needlepoint canvas can be purchased alone or with floss as a needlepoint kit. 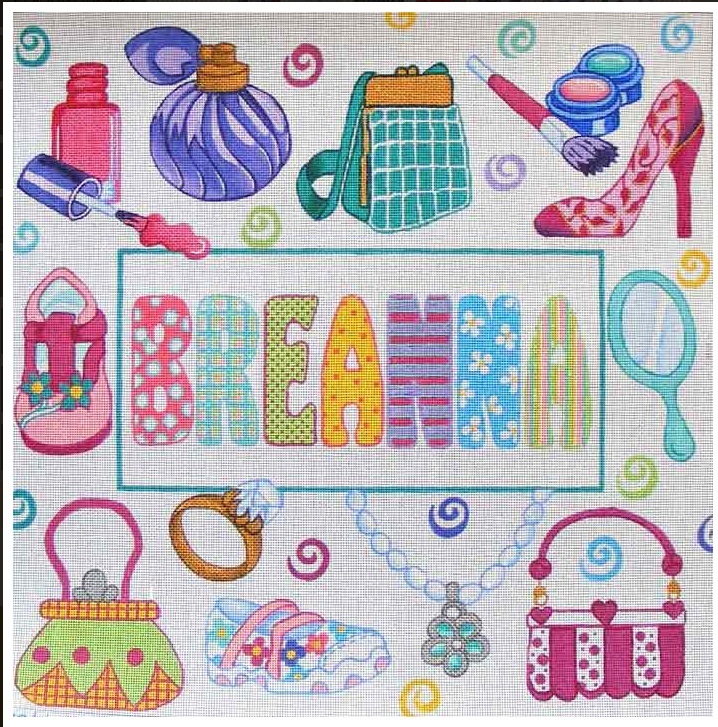 Right now, we are featuring kids needlepoint designs, but in the future we will be adding more types hand painted needlepoint designs. If you have any requests, please let us know! 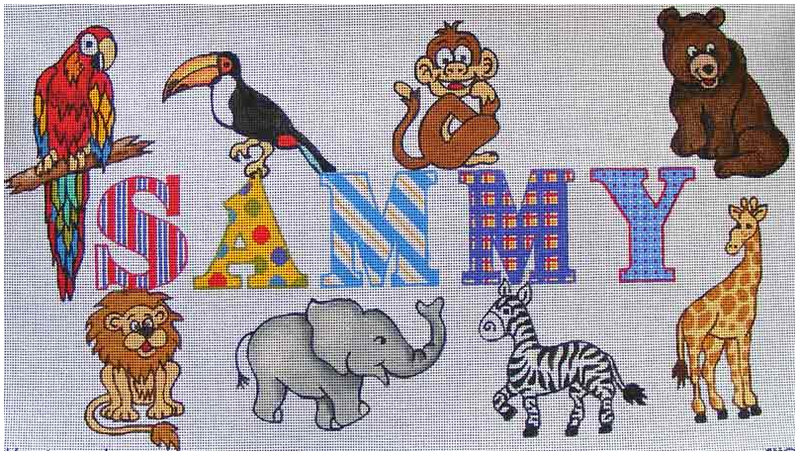 You can view all of our personalized needlepoint designs here. 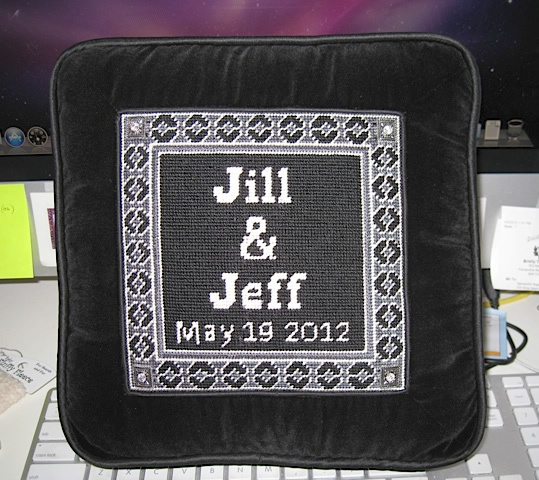 One of our customers just finished her needlepoint ring bearer pillow and we love it! The needlepoint kit is was our gray timeless design but what I really love is how she framed the pillow and made a box edge. Also, the charcoal gray velevet looks great! Finally, see if you can notice the extra Bling she added! Custom Logo Pillow Needlepointed and Finished! 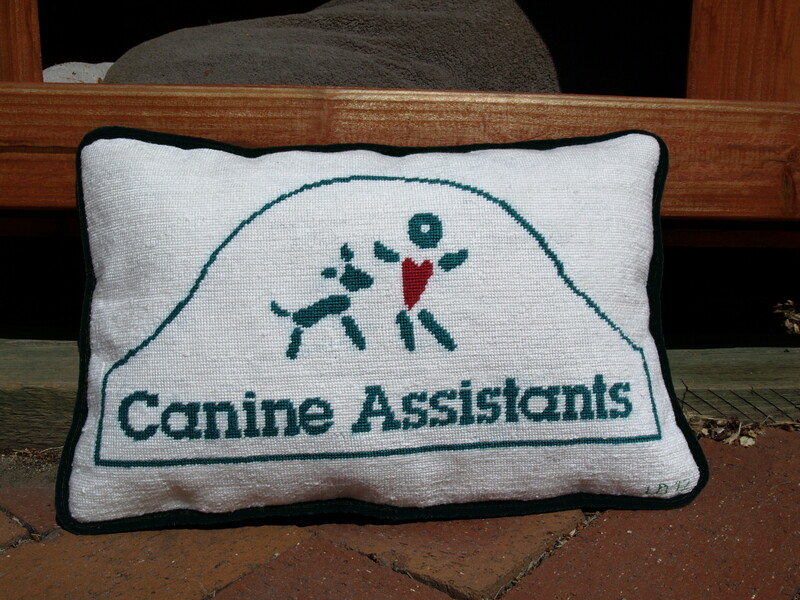 We made a needlepoint kit for a stitcher at Canine Assistance that came out wonderfully! She needlepointed it, and then sent it back to us to make into a pillow. Our needlepoint pillow finisher stretched, cleaned, and blocked the needlepoint and then did a great job turning it into a pillow in under 2 weeks! One of the nice things with this project, was that the customer sent us the material for the backing, as matching colors can be a bit tricky, it is always best done by the stitcher. But, we do have a consistant supply of Black, Red, Burgandy, and Green velveteen fabric. The picture is a darker green, which we don’t stock. 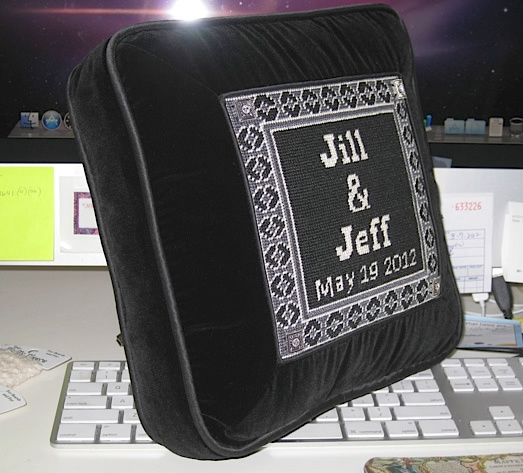 We just created two new ring bearer pillow designs! 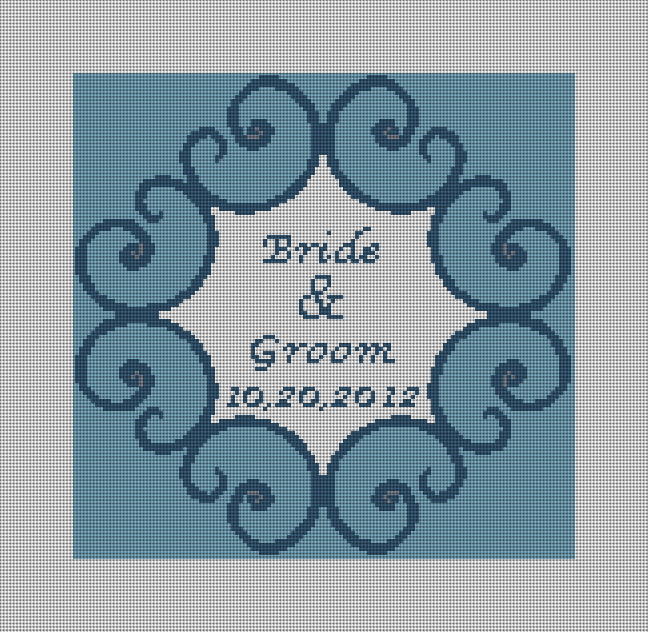 The Blue Spice is a twist on our popular timeless needlepoint design. And the Iron Scroll is a classic design based on iron work from the early 1900’s. And, as with all of our custom needlepoint kits, the personalized needlepoint canvases can include your own names and dates! If you have an idea for a canvas but don’t see it on our website, we’ll be happy to make a new design for you.